LW-K3010D Adjustable Digital DC Power Supply is 110V/220V 0-30V 0-10A. LW 3010D DC Power Supply is for For laptop phone repair. 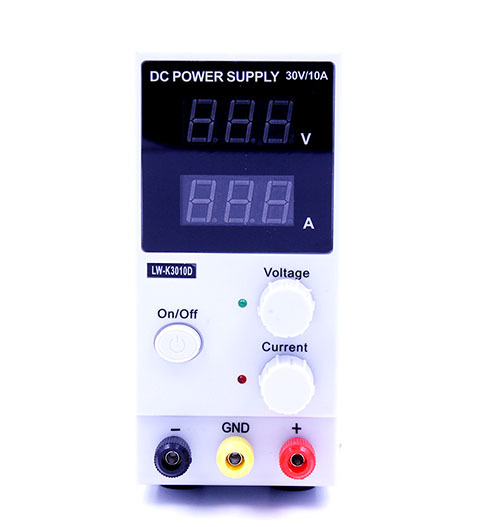 Switching DC Power Supply is Mini Adjustable Digital Machine. 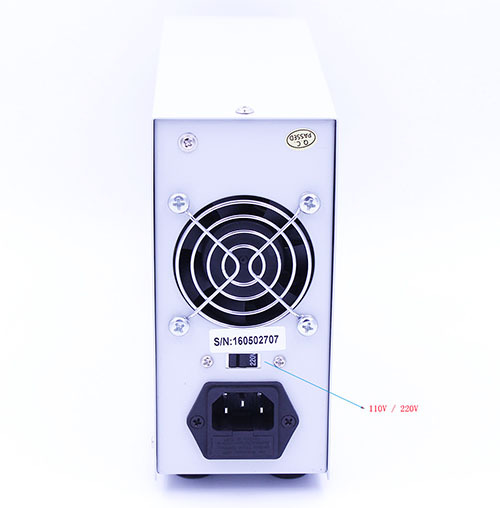 The power supply uses advanced technology PWM + linear regulator, voltage, current can be continuously adjustable from 0 - Rating obtain Ultra-low ripple. High-precision reference voltage source, rational circuit design, the ability to provide highly accurate output. High-power MOS devices Application, to ensure adequate power supply, improve the long-term stability of the power at full load work. Perfect protection function, in order to protect the load And the power supply are not damaged. Simple operation, and a plurality of power supply can be directly connected in series, parallel, expanded power Range of applications. 1. High-precision LED digital display, intuitive and clear. 2. 8 cm smart fan, excellent heat dissipation, effectively extend fan life and reduce noise. 3. The use of advanced technology to effectively reduce the weight of the power and convenience of mobile power. 4. A variety of protection, current limiting protection (OCP), over temperature protection (OTP), Over Power Protection (OPP). 5. plastic panels, more beautiful, voltage, current, coarse and fine adjustment knob to set the settings to be more precise. Aging products, such as resistors, capacitors, relays, DC motors, LED and the like. 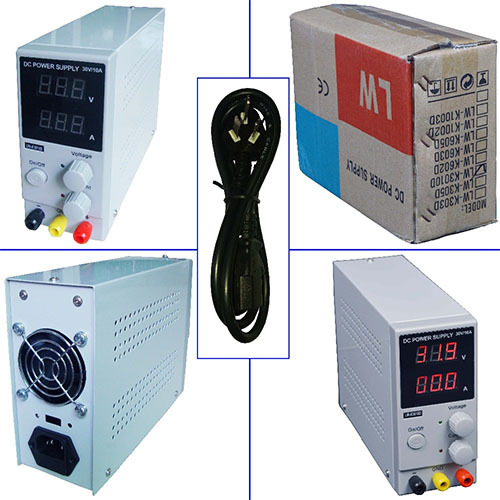 Laboratory, factory, repair power supply. Other DC power supply all the needs of the occasion.